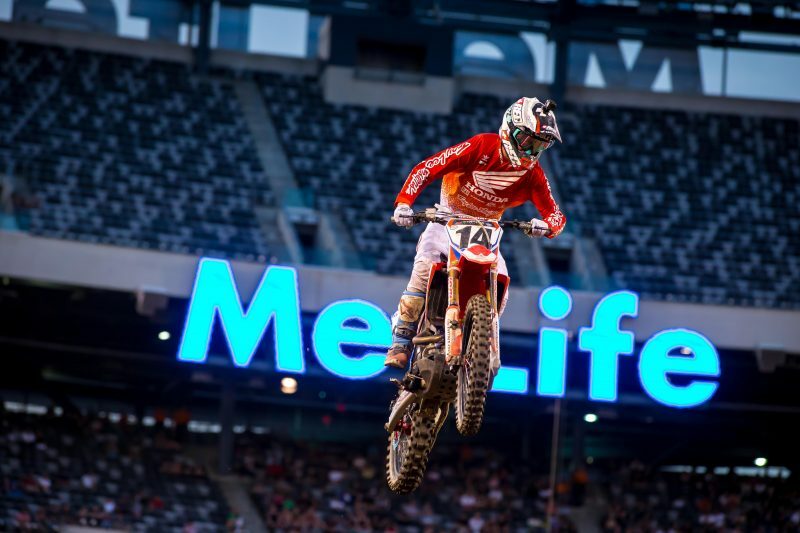 After a short hiatus, Team Honda HRC’s Cole Seely made a return to action for round 16 of the AMA Supercross series in New Jersey before he was once again sidelined with a painful adductor. In the main event, the Californian got off to a poor start, but by the completion of the first lap he had passed several riders to sit 12th. He continued to mount an impressive charge, moving into sixth on lap 13. Unfortunately, four laps later he cased a rhythm section, ripping his feet off the pegs and aggravating his groin injury. 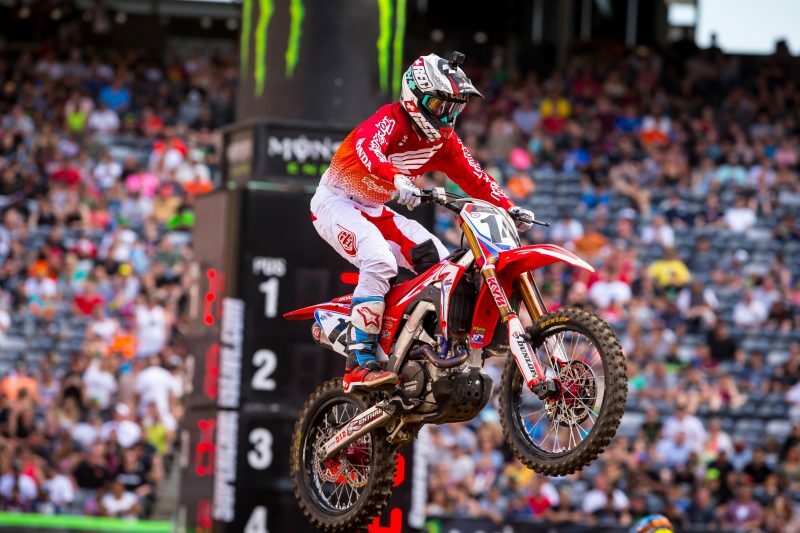 Seely will visit his doctor at home for a prognosis. 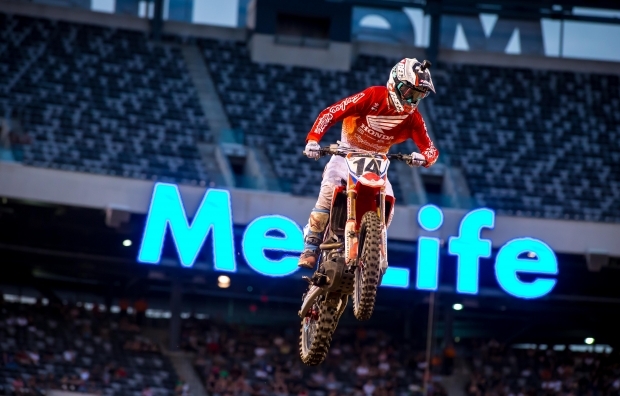 For the second time this season, riders and teams were on a daytime schedule due to the New Jersey Supercross airing live on the Fox network. The program started three hours earlier than normal, and the racing was completed by 8 p.m. 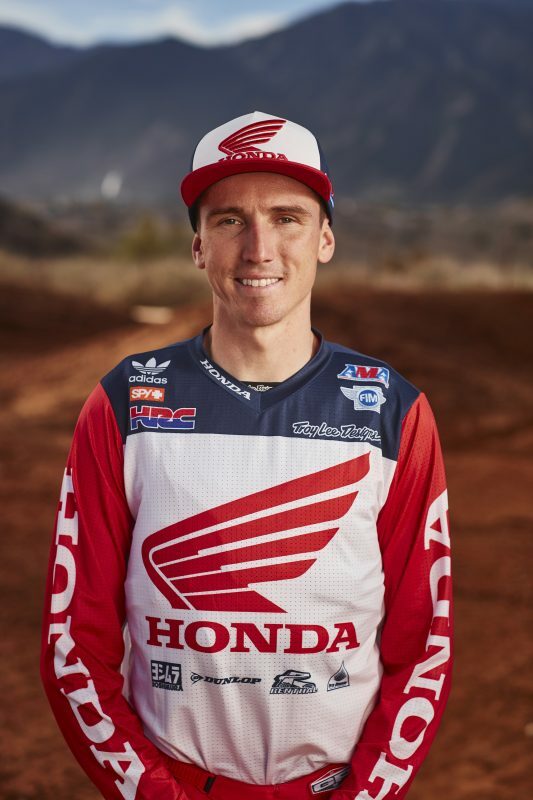 Team Honda HRC was happy to support Road 2 Recovery by providing an auction winner and his family with a tour of the team’s technical truck, as well as an autographed Cole Seely jersey. 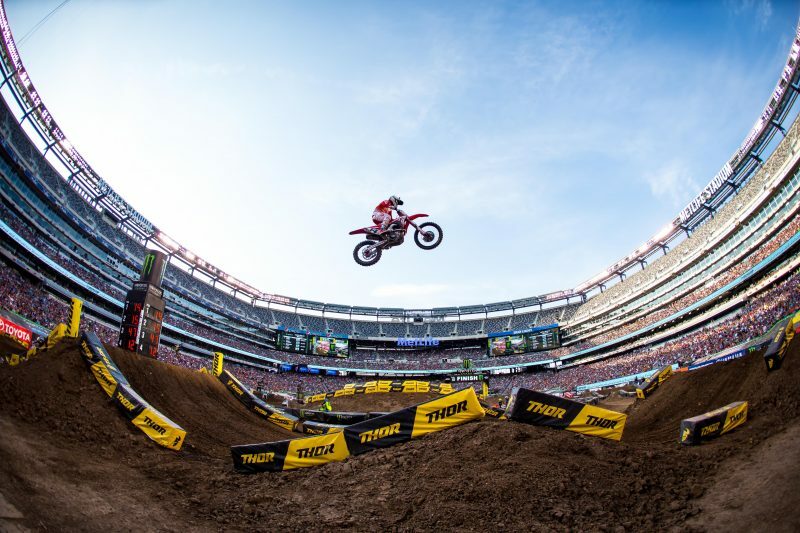 During the daytime qualifying sessions, Seely notched the sixth-quickest lap time at 52.313”, while MotoConcepts rider Justin Brayton was 12th with a 53.433” lap. 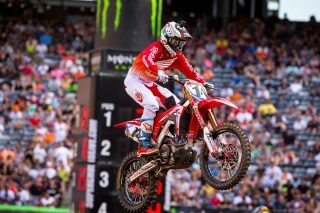 For Seely, it was an afternoon of intense battles. In heat 1, he got off to a fourth-place start but was shuffled around during the first few laps. He fought hard for the final transfer spot but ultimately finished fifth, sending him to the semi. When the gate dropped for semi 1, Seely grabbed the holeshot and early lead. 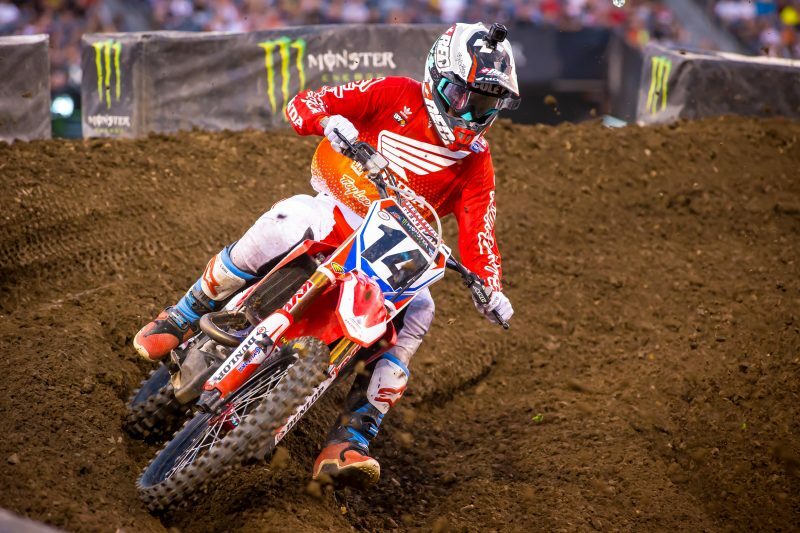 During the closing laps, another hard-fought tussle broke out with Seely swapping for lead multiple times before taking the checkered flag with the win. 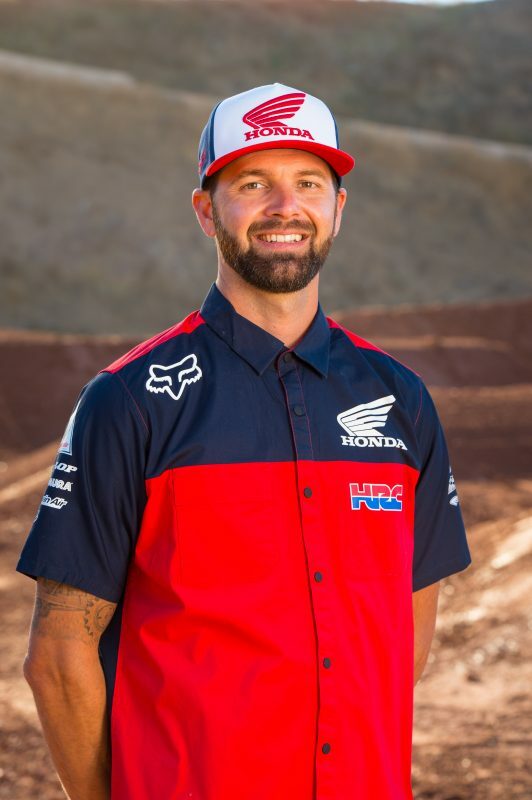 With the MotoConcepts Honda hauler not making the 2,000 mile trek from Salt Lake City to New Jersey, Justin Brayton and his CRF450R were pitted under the factory tent for the day. 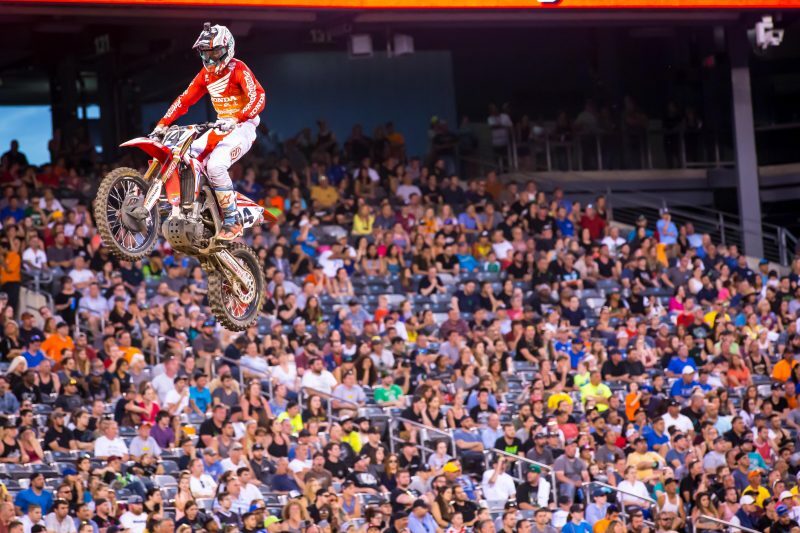 Brayton put together a solid performance, matching his season-best finish of sixth in the main event. 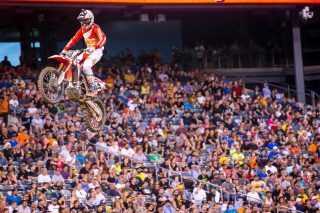 May 6 will mark the final round of the AMA Supercross championship, at Sam Boyd Stadium in Las Vegas, where Team Honda HRC hopes to finish the season on a positive note. I’m frustrated with the way I rode tonight even before the injury, and now to be in the same situation is a huge bummer. I got a terrible start and although I didn’t feel like I was riding well, I had worked my way up to sixth. I felt like I needed to find something on the track to go faster so I tried to go three out at the end of a rhythm section and didn’t make it. I cased it, which ripped my feet off the pegs and hurt my leg again so I couldn’t hold onto the bike. That's basically how I injured it the first time in St. Louis. Luckily, it didn’t pop again because that would mean it tore again so hopefully it’s not that bad. I thought Cole had some good moments tonight. He was a little off in his heat and semi but he battled hard each race. For a bad start, I think he rode pretty well in the main event. When he caught and passed [Justin] Barcia, his lap time dropped back down into the 54-second mark, which was decent. Unfortunately, he didn’t feel that good on the track and he couldn’t see the pit board in the mechanics’ area, so he had no idea that each lap he was doing better. Hopefully he’ll be back for Las Vegas but we also need to start prepping for Hangtown because he hasn’t done much outdoor testing. Luckily Andrew [Short] has been helping us develop the bike.